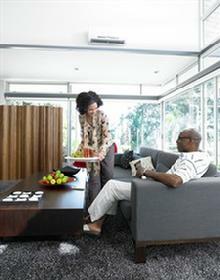 Introducing a revolutionary ductless heating and cooling system from Mitsubishi Electric. Metro Mechanical, now a Diamond Dealer, can help make the right decision to upgrading your office or home to this new and innovating system. What Is Mr. Slim And How Does It Work? Mr. 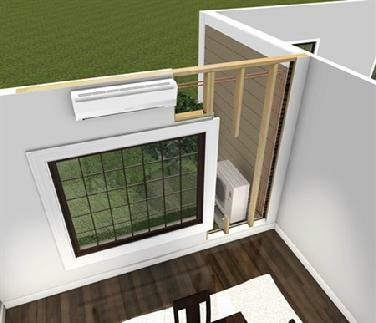 Slim is a ductless heating and cooling system that consists of two components. The outdoor unit and an indoor air handler are easily and quickly joined together by refrigerant lines connecting through a small 3-inch opening in the wall or ceiling - since there's no window required, there is no security risk of having a window unit. 3. 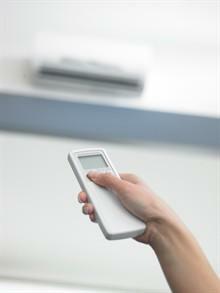 Zone Control: Cool and heat only those spaces you want maximum control and energy efficiency. 4. Advanced Micro-Processor Controls: Advanced controls keep you comfortable no matter what the conditions are outside. Contact us for further information or a free in-home demonstration and estimate! !